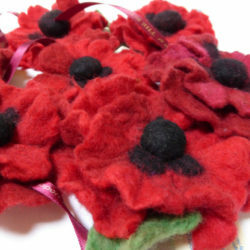 Nancy is primarily a feltmaker, using nature as an influence. She also makes coiled fabric baskets using upcycled/vintage fabrics and produces bas relief casts of wildflowers in fine plaster. Nancy is current chairman of The Surrey Guild of Craftsmen. She is happy to work on commissions.